In a small bowl, melt the butter. Slice loaf of Ciabatta bread horizontally down the middle, ends removed. Spread two or three spoonfuls of jam on the inside of the sliced loaf. Layer the loaf with ham and Fontina cheese then season with fresh pepper. Close sliced loaf then brush the outside of the bread with melted butter. 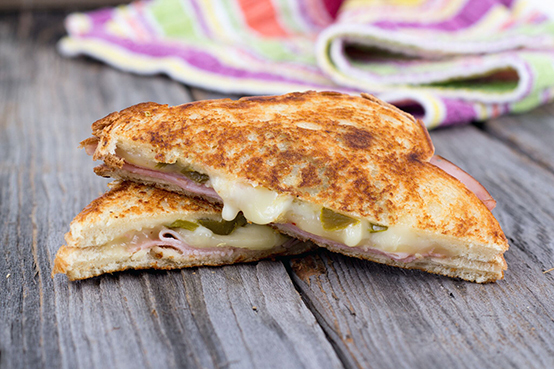 In a skillet over medium heat, grill the sandwich until golden brown and cheese has melted. Serve immediately. Serves 4.